In Sydney, before any construction, you must start with a design idea and prepare professionally drawn plans for submission to an Approval Authority (Council or Certifier). For additions or renovations to your existing residential property, a DIY sketch simply isn’t enough. You will need to hire a skilled designer or draftsperson to get the job done right. How important are building designers in the planning and construction of your home? Are drafting services really worth the cost? Why is architectural drafting important in Sydney residential projects? Before any construction work can commence, homeowners are required to secure an approval form their local city council. In order to get a building or development approval, there needs to be professionally drawn plans that your builder or contractors will follow. The main function of professional draftsmen is to create and draw plans for homeowners that are legible and concise. Draftsmen and building designers, such as our team at Precision Planning, are professionals with in depth design and drafting knowledge, skills, and qualifications. They are focused on the creation of building and design plans for residential projects (big and small!). Technologies such as Computer Aided Design [or CAD]are commonly utilised to render drawings that are not just aesthetically attractive but adhere to building codes, controls and standards set by all of Sydney’s local councils. Whether you’re in Inner West Council, Hornsby Shire Council, Northern Beaches Council, Willoughby Council, City of Ryde Council, City of Canada Bay Council, Sydney Council — ANY of the Sydney metropolitan councils — Precision Planning has you covered! What is the difference between an architect and a building designer? The main difference between architects and draftsmen is educational background. Architects have a Bachelor’s degree in Architecture and are duly licensed to practice their field. 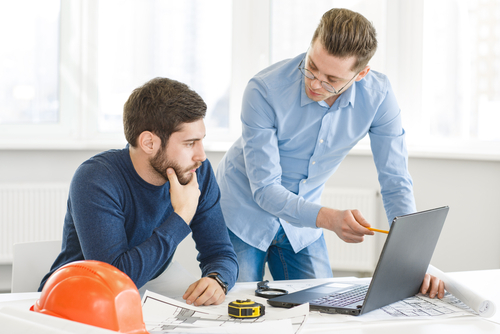 On the other hand, draftsmen are professionals who underwent an undergraduate or diploma course with a focus on technical drafting and building design. Building Designers can be just as qualified as an architect with membership and accreditation from the Building Designers Association (BDA) of Australia. Why should you hire a draftsman for your Sydney residential project? It is a requirement to hire a qualified designer and draftsman if you are about to embark on a major construction project. Even small home additions and renovations will require professional drafting services to be obtained by homeowners. Contractors will not proceed with building your home without a professionally drawn plan in place – and approved. A well designed and prepared plan also ensures that the home your are about to build conforms with existing Australian building codes and standards. Obtaining the services of a designer and draftsman from a reputable Sydney based drafting company in will save you money. By presenting your builder with a precise plan, delays and unnecessary costs can be avoided altogether. Let us know what you want for that much-awaited dream home or major home addition project. Call Daniel now on 0416 110 281 for a fee proposal or to check the other services that we offer.